Happy New Year! Thank you for your readership this year. I wish the very best to you and yours for the coming year and always. Please be safe as you celebrate the new year. As always, call me at (810) 813-8732 for any questions or assistance with HR issues. 1. Review company polices and procedures; update/revise as appropriate. Policies and procedures are not set in stone. Standards change and ideas about best practices change and evolve. Therefore, it is important to have a plan in place to routinely review some or all of your policies and procedures. 2. Attain, review and/or update your Employee Handbook, as appropriate. Your Employee Handbook can be the most important communication tool between you and your employees. Having written rules and policies not only help Managers and Supervisors manage the workplace, they also may be your protectors when faced with litigation. 3. Update job descriptions and make sure they are ADA Compliant. Up-to-date, ADA compliant, job descriptions are not only necessary to attract and recruit the best-qualified candidates for jobs; they are the foundation for most Human Resource functions. It is crucial that employees understand their job responsibilities and tasks. 4. Evaluate Management Training Needs. In order for Managers and Supervisors to manage the workforce and to perform their jobs well, it is important that they have the information and tools they need to help protect the company assets. 5. Conduct an HR Audit. The HR Audit can help you identify high risk areas, avoid litigation, ensure compliance with employment laws, save time by eliminating obsolete processes, and improve workflow by increasing efficiencies. 6. 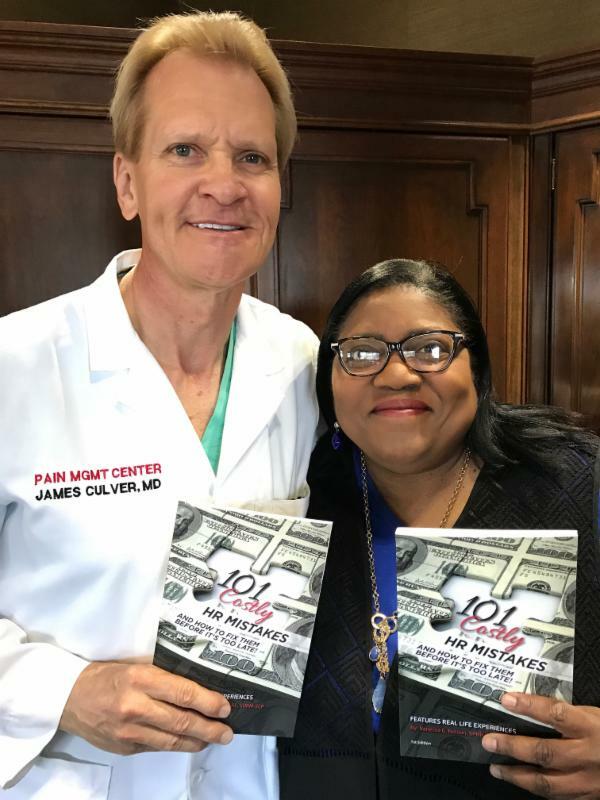 Get a copy of my book, 101 Costly HR Mistakes... and How to Fix Them! Sexual harassment, workplace violence, discriminatory practices, retaliatory actions, inconsistent processes, bad practices, etc., can quickly become HR mistakes, which can lead to employers suffering from massive lawsuits; as well as costly non-compliance penalties and fines. 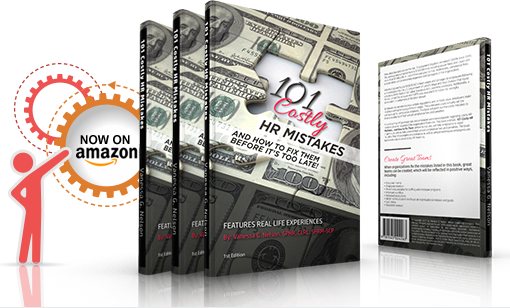 Nelson wrote her book, 101 Costly HR Mistakes...and How To Fix Them! due to concerns regarding the related rise in workplace lawsuits, which increased 2000% since 1995. Employers do not intentionally violate regulations; however, oftentimes employers make mistakes without knowing of the missteps. These mistakes could actually set the company up for compliance violations. This book will point out the top costly HR mistakes to ensure avoidance of high-priced compliance fees and penalties. Start the year off right by protecting your organization!